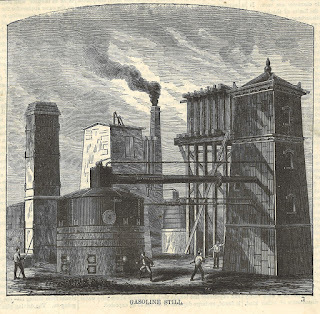 The Bayside Oil site on the border of Greenpoint and Williamsburg was first developed by Charles Pratt as part of the Astral Oil Works in the 1860s. 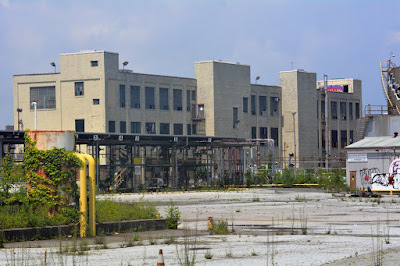 Pratt’s facility was used to manufacture kerosene and other oil products. 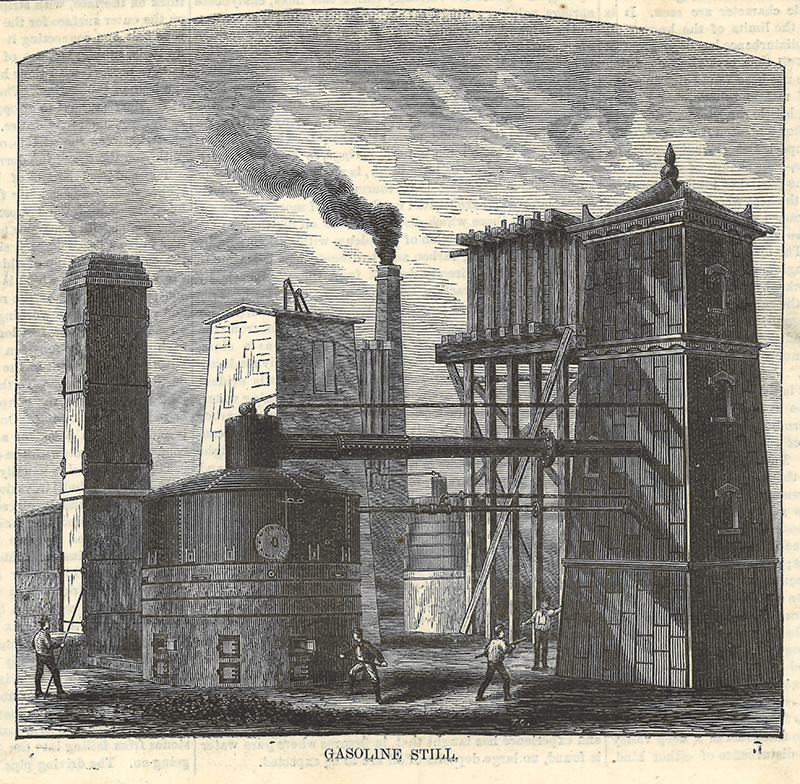 For some time, more oil was refined in Greenpoint than anywhere else, in part due to Astral Oil Works. Those who live in Greenpoint will probably recognize the Astral moniker from the landmarked Astral Apartments that were built to house Astral Oil Works employees. 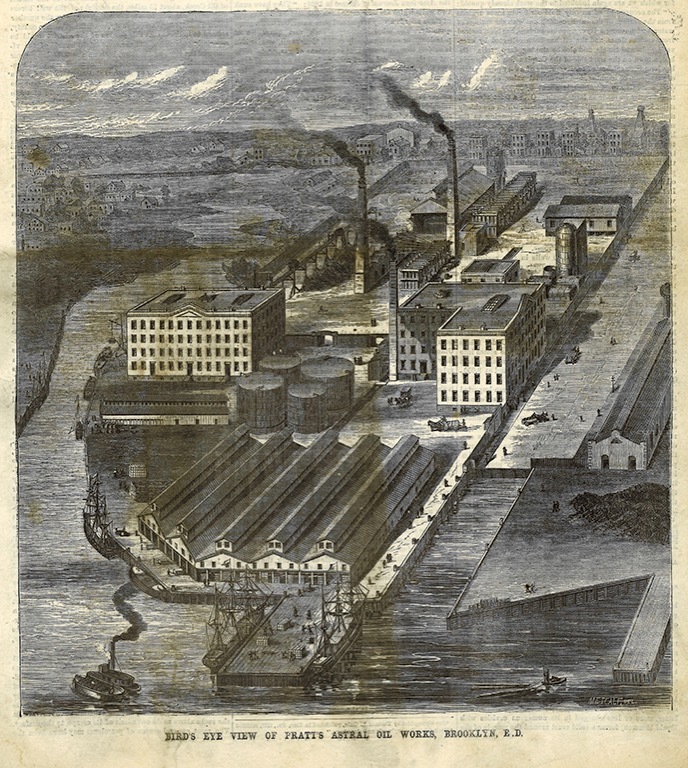 Pratt was forced to sell Astral Oil to John D. Rockefeller and his company was assimilated into Standard Oil. 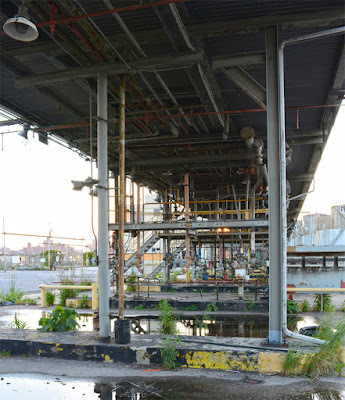 Rockefeller’s Standard Oil once owned most of the refineries along Newtown Creek. 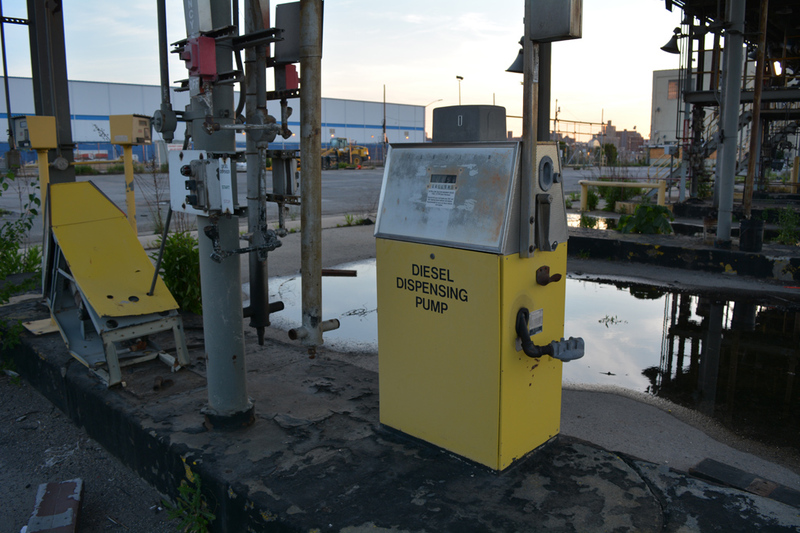 Standard Oil used the Astral Oil Works site for refining and storage until the 1940s before it was transferred to the Bayside Company. Sergio Allegretti started the Bayside Heating Oil Corporation. The company has its roots in the ice carting business of the early 20th century. 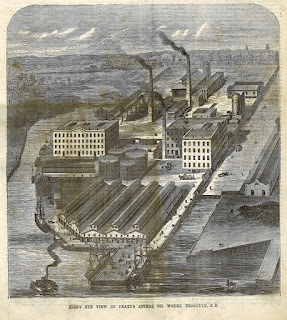 With the advent and expansion of refrigeration the business evolved into a one-truck coal company. Then, when oil became the dominant fuel source they began hauling oil. Although the oil enterprise began as a one-truck oil dealership, Sergio’s son Alfred convinced his father to expand the company and establish a terminal on the Gowanus before expanding further to include terminals in Bensonhurst and Williamsburg. As of 2001 the company employed more than 270 people and included 100 trucks that moved 300 million gallons of heating oil a year. 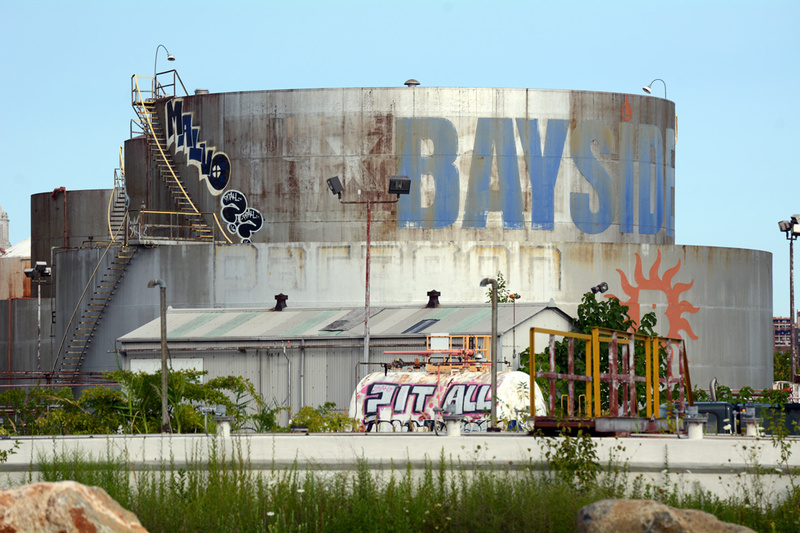 Like many other waterfront enterprises, Bayside once had a connection to the mafia. Former mob capo Joseph Corrao once worked as a salesman for the company. Although, it isn’t clear how involved the mob was in the business, Bayside lost a city contract due to its affiliation with Corrao. 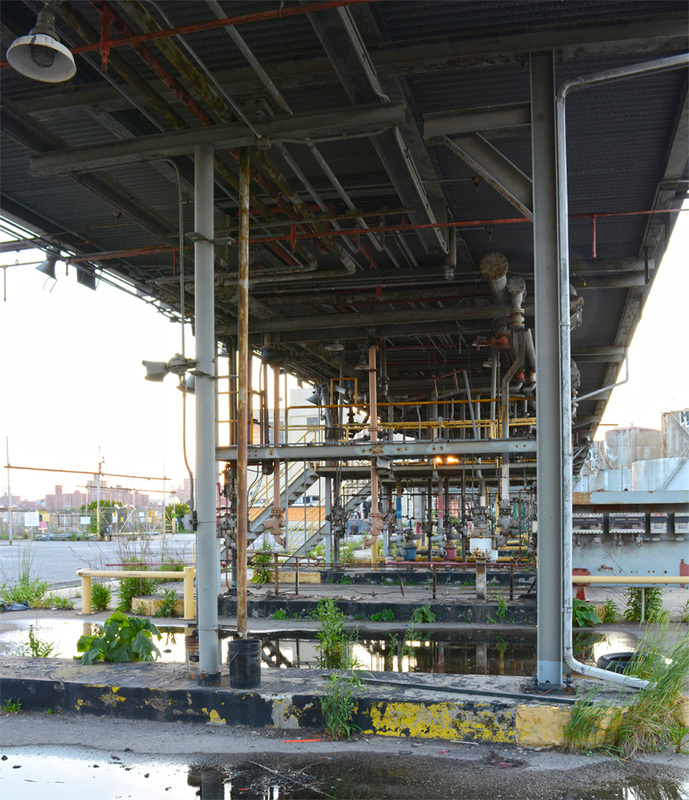 The Greenpoint site was slated for purchase by the city for inclusion in Bushwick Inlet Park as part of deal with the community for rezoning the local waterfront. Until a year or so ago, the 8-acre parcel was still full of oil trucks; however, the facility hasn’t stored oil at the location for several years now. As promised, the city purchased the land in March of 2016 for $53 million. Another recent use of the site worth noting is that it was a set in the film A Most Violent Year and was used to shoot the violent finale. 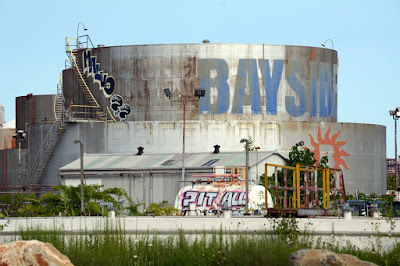 What a detailed information, Thank you for this about the greenpoint where bayside Oil, great expansion to the company, Thank you for include the picture., Thanks for sharing, More post of you. !